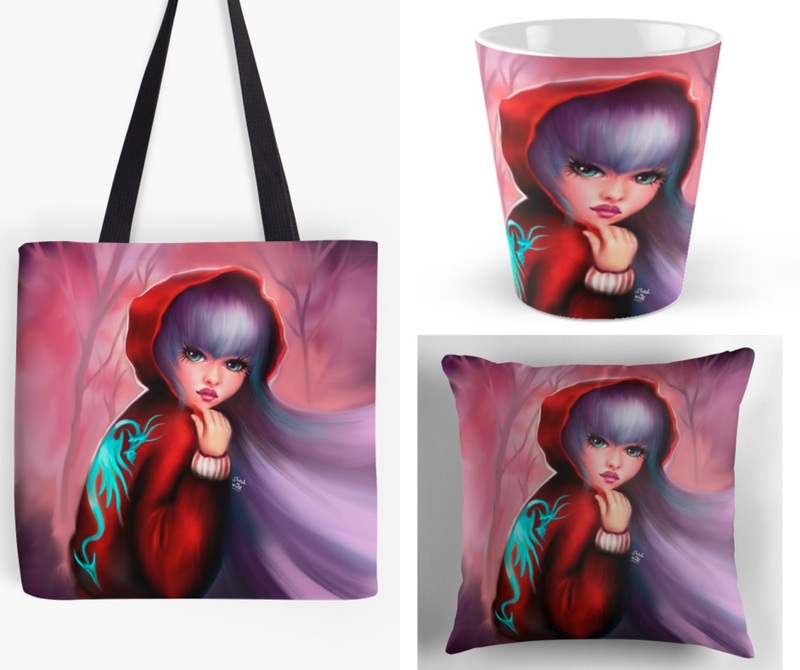 Enter this giveaway for a chance to win a Red Riding Hoodie tote bag, mug and pillow set designed by Sarah m Wall. Good luck! Cinderella because the moral of the story sends a great message. That people should always fight for what they want with a good heart and hard work. Cinderella is never negative or angry due to how poorly her stepsisters and stepmother treat her, and she keeps working hard despite things seeming hopeless. My favorite fairy tale is Alice in Wonderland it's full of magic and imagination. My favorite is Cinderella because she finds her Prince Charming. I love the romance and magic in the story. Cinderella. I love happy ever after stories. Undoubtly 'The Little Match Girl', by Hans Christian Anderson. So sad, but also so touching, and beautifully written. Cinderella; the girl gets her guy in the end! My favourite was Cinderella, she had to slave away but ended up having happiness and the upper hand. Snow White as she's quite strong! Snow White... have to love those dwarfs!!! Cinderella because all little girls dream of a fairy tale relationship. Beauty and the Beast. I love the idea of seeing beyond external appearances to the real person beneath. Love Aladdin as I love Magic and wishes. I loved Hansel and Gretel when I was younger. I had a well loved dogeared copy that I read so many times! Rapunzel! I love her story and courage! My favorite fairytale would have to be Snow White and Seven Dwarfs because I love her nature to care. Growing up, I loved all animals and I felt that I resonated with her the most in that aspect. Beauty and the Beast because she fall's for him and not his looks. Beauty and the Beast. i love happy endings. I always liked Rose Red. It was a just a bit different than the usual. Cinderella. I've always loved reading stories with villains getting what they deserve and good people getting their HEA. My favourite is definitely Cinderella. My favourite is the Elves and the Shoemaker because it is tale of kindness and generosity. Important elements in a children's story. I love beauty and the beast because the characters fall in love with character and not looks (although Belle is beautiful) and of course that library!!! Hansel and Gretel is my favorite. It was scary when I was little.